Over the last few years, Toyota has furthered the charge toward big fuel savings and more sustainable transportation for folks throughout Palm Beach Gardens and Stuart with the revolution of the hybrid car. 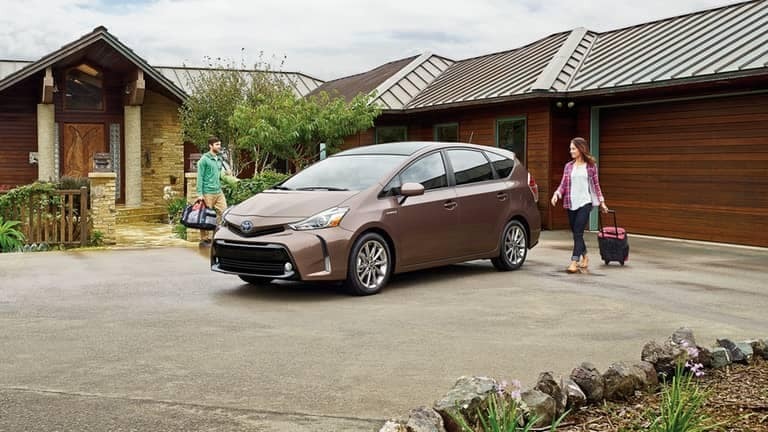 From the variety of Toyota Prius hatchback models to hybrid sedans and SUVs, you can get the driving experience you’re looking for while going green in the process. Check out the entire lineup of new Toyota hybrids available near the Palm Beaches at Earl Stewart Toyota, located in Lake Park, FL. When you’re looking for luxurious appointments, more room to stretch out, and lots of features in your next hybrid, the 2018 Toyota Avalon Hybrid does not disappoint! 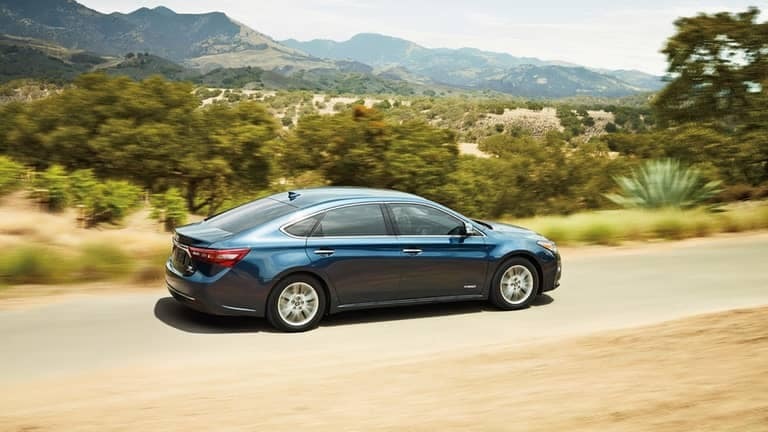 With an MSRP from $37,500*, the Avalon Hybrid comes equipped with the same 2.5L four-cylinder/electric motor hybrid as the Toyota Camry Hybrid. For those who want the manifold benefits of a crossover SUV—from all-wheel drive to a spacious cabin and cargo area—the 2018 Toyota RAV4 Hybrid gives you everything you want while still saving you money at the pump. The Toyota RAV4 Hybrid gets its power from a 2.5L four-cylinder engine, a front motor, and a rear motor. This system delivers 194 hp to the front wheels under normal operating conditions but also administers power to the rear wheels for extra grip when needed. 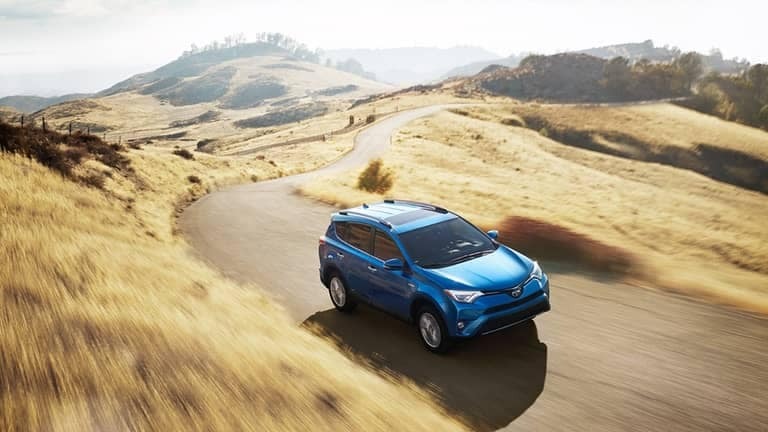 Like other versions of the RAV4, the hybrid model gets sleek exterior styling and more advanced tech in the cabin. Keep your family safe, too, thanks to the Toyota Safety Sense™ package with driver assist safety features. All of this is yours for an MSRP from $27,235*. 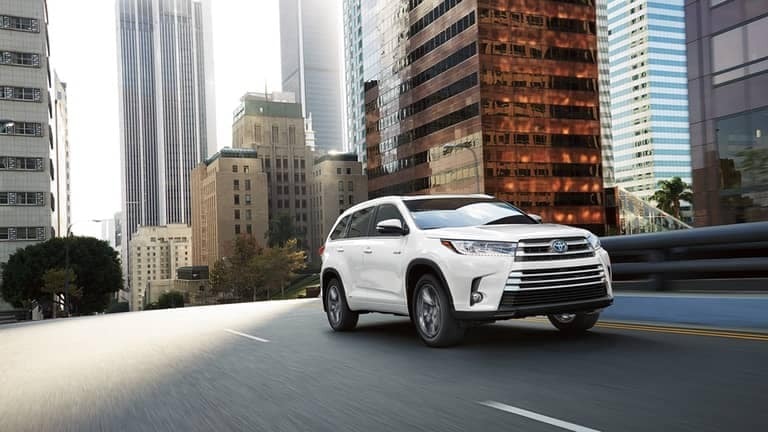 When it comes to uncompromising performance, unparalleled passenger and cargo space, and unbelievable features inside the cabin, the 2018 Toyota Highlander Hybrid has it all. Starting at an MSRP from $36,670*, this large three-row crossover SUV is worth every penny. It is powered by a robust 3.5L V6 engine matched to a range of electric motors and a hybrid battery pack. 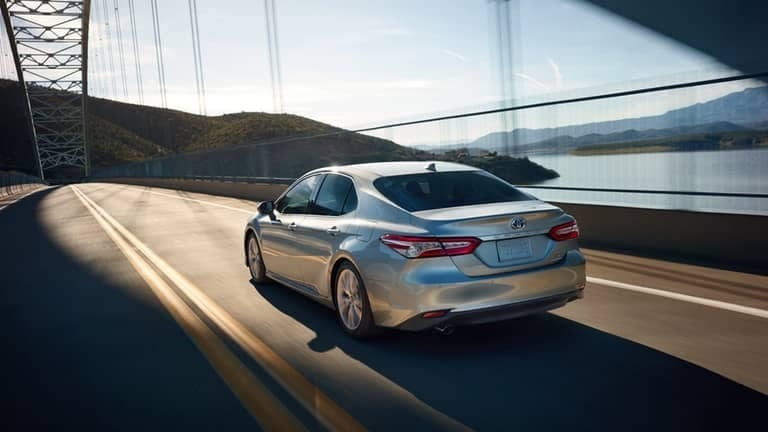 The hybrid powertrain delivers a staggering 306 hp to an all-wheel drive system, and it achieves an outstanding EPA-estimated 30 mpg city and 28 mpg highway—numbers that are tough to come by in the large crossover segment! You’ll get standard seating for seven in a cabin with an interior volume of 154.9 cubic feet and a maximum cargo volume of 83.2 cubic feet. 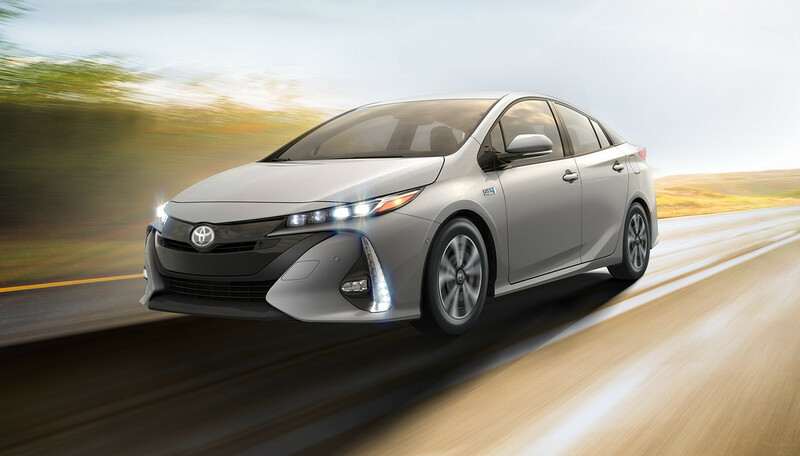 A favorite hybrid vehicle since it arrived on the market over 20 years ago, the 2018 Toyota Prius continues to impress. 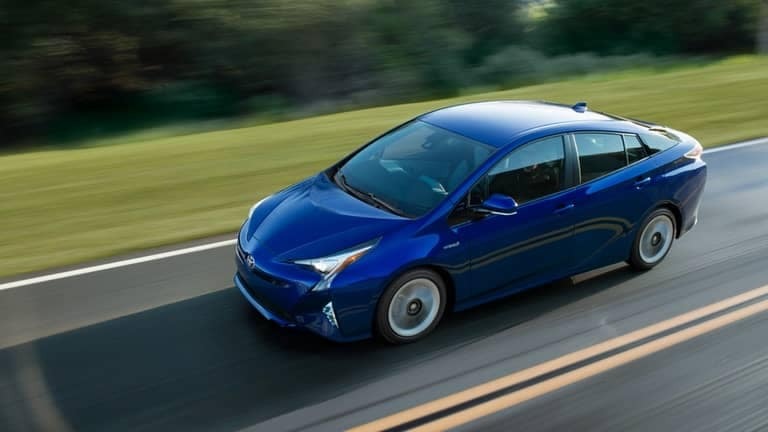 Still offered at an affordable MSRP from $23,475*, the Prius now gets more power, better fuel economy, and more sophisticated features than ever. Its 1.8L inline-four engine and two electric motors combine to make 121 hp. The Prius gets a standard EPA-estimated 54 mpg city and 50 mpg highway, but those numbers jump to 58 mpg city and 53 mpg highway on the Prius Two Eco. Ride quality and responsiveness are notable improvements for the new generation, as well. You’ll also have lots of space to work with in this hatchback, which offers seating for five. In back, you’ll find 24.6 cubic feet for storage, but you can also fold down the back seat to open up even more space. When you’re looking to save more money up front and at the gas station, you’d be hard-pressed to beat the 2018 Toyota Prius c. The most affordable and fuel-efficient of the Prius models, this subcompact hatchback starts at an MSRP from just $20,630*. 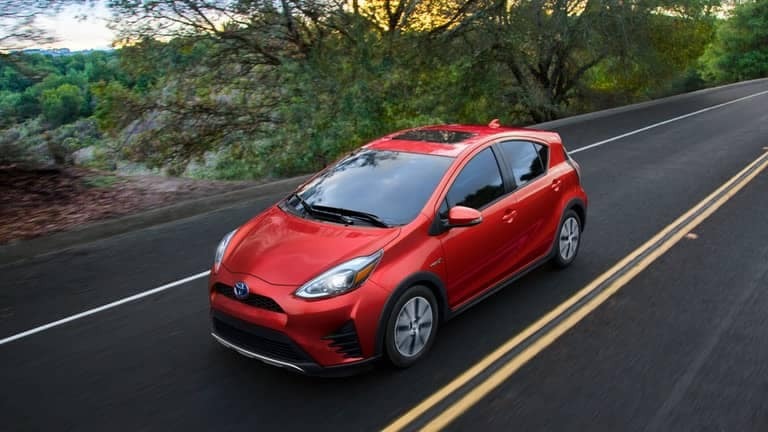 The Prius c is powered by a 1.5L four-cylinder engine, an electric motor, and a nickel-metal hybrid battery pack, which delivers 99 hp to the front wheels. Fuel economy is simply stellar at an EPA-estimated 48 mpg city and 43 mpg highway. Despite its small size, you’ll still have seating for up to five and flexible cargo space in back. For those who like the idea of a hybrid hatchback but need more room, the 2018 Toyota Prius v has plenty to offer. This larger model is a wagon, and for an MSRP from $26,675*, you’ll get significantly more cargo and passenger space. In fact, there’s 34.3 cubic feet behind the rear seats and a maximum cargo volume of 67.3 cubic feet. The Prius v is powered by a 1.8L inline-four and a couple of electric motors with a hybrid battery pack. Output is confident at 134 hp, and fuel economy is again impressive at an EPA-estimated 43 mpg city and 39 mpg highway. The 2017 Toyota Prius Prime promises drivers even greater hybrid fuel economy thanks to an all-new plug-in hybrid powertrain. Unlike the traditional Toyota Prius powertrain, this plug-in hybrid runs on electric power alone for up to 22 miles. The electric powertrain is able to charge in as little as 2.5 hours. When the electric powertrain runs out of energy, the regular combustion powertrain will engage to provide a total driving range of 600 miles! No matter which of the Toyota hybrids you choose, you’re guaranteed significant fuel savings, reliable and confident performance, and plenty of features for your drives around the Palm Beaches. Take the drive from West Palm Beach or Jupiter to check out our Toyota hybrid models in person at Earl Stewart Toyota. We’re located at 1215 US-1 in Lake Park, FL, and you can always contact our sales staff for more information on these new Toyota hybrids!